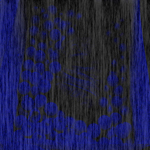 Nebh is dark drone. 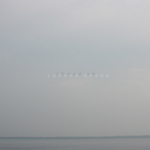 Minimalist laments in the vein of Harold Budd. The sound of abandoned cities left to decay in the open desert plains. This is heaven & it's black & empty & lonely. Lately we're mainly using Twitter to let you know about new reviews of our music & other Silber things on the web. Read our blog for tales of our daily adventures & dreams. Thank you for helping support the Silber family so we can all continue to work on our art. Whenever you reach a milestone, it's natural to reflect. Reflect on the past, your achievements, the possible futures. 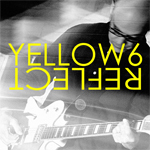 In 1998 the first Yellow6 record was released, two sides of a 7" single totaling about nine minutes of music. Twenty years on, comes Reflect - a set of thirty-two pieces & five & a half hours of music. Not a retrospective, best of, or greatest hits that you would expect to mark this anniversary, but essentially five albums worth of new music. For long time fans, Reflect showcases the process & creativity of Yellow6, for newcomers it's a perfect opportunity to here a project continuing to explore & find new sounds after two decades. 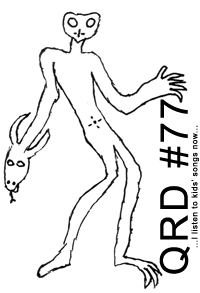 Our webzine QRD continues with issue #77. For decades Chvad SB has been following his own muse, creating music that fulfills his personal interests & so he does again in his latest exploration Intone Drone. Beginning January 17, 2018 & continued for 15 hours every weeknight after 5pm EST streaming from his studio to whomever happened upon it via Shoutcast, Chvad was sculpting a new drone piece. Each passing day a new element was either introduced into, removed from or changed within the drone. Three weeks later the drone ended. Unsure at the beginning of the project how long it would last, on the 21st day it felt complete. For this release, segments of each 15 hour day were arranged to create a complete remnant for this first installment of Intone Drone. It's the mixture of meditation & sleep soundtrack you didn't realize you were looking for, because the more personal & necessary to be made music is, somehow the more universal it also is. 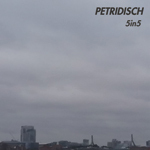 Somewhere between the soundtracks of John Carpenter & the songs with pop sensibility from horror anime is the musical work of Petridisch. Lament, a need for knowledge, a sense of peace, the desires of a reluctant monster heroine performed by a Vocaloid named Hatsune Miku. Enjoy five minutes from the future. 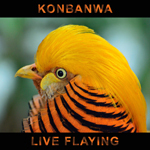 Led by Rowland Yeargan, Konbanwa is a project of loose composition & lots of improvisation. On Live Flaying Yeargan asked collaborators to show up with cymbals & like-minded instruments (including glockenspiel, Tibetan bowls, & thunder tubes) while Yeargan himself played simple synthesizer, floor tom, & cymbal. Collaborators included Brian John Mitchell, Bryce Eiman, Armani Mavinga, Will Bridges, Chris Acker, Aya McGee, Tyler Billman, Andrew Harper, Sarah Dakin, & Keith Aazami. The result is a sound that mixes world music with no wave, eastern hypnotics with noise, drone with gamelan. Let the sonic waves shimmer over you. 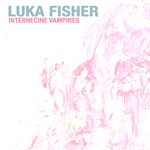 Internecine Vampires is Luka Fisher's longest EP to date. This record is a continuation of Fisher's last two records "Sleep Gallery" & "Mind Drone Business". This release is a free wheeling exploration of un-winnable situations & social conflict that drew inspiration from everything from chess, Star Trek, & Timothy Leary to considering the ways in which social groups too often fail to connect in meaningful ways. Fisher was also thinking about how queer & trans individuals are too often placed in the unwinnable situation of being evaluated on their ability to "pass" & considered inauthentic in relation to the "authentic" dominant culture. Rather than repeat these moves ad nauseam we need to imagine new games & new ways of being. The unwinnable situation is an invitation to redefine the terms of success; to imagine different ways of being & of relating to the world & those around you; to reject simple binaries & to reject the internecine vampires that lurk within ourselves & our culture. Individuals are meant to be recognized as just that, individuals. Think on & drone on. 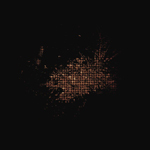 CNSNNT is minimalist, dark ambient, proto-techno with field recordings. Spend five minutes in another's dreams. 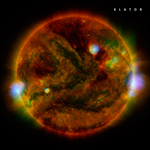 Klator is an analog spacetronica side venture for Third Of Never guitarist/founder Jon Dawson. Third Of Never crank the guitars to if not 11 at least 10.5, so the electronic music of Klator serves as a palette cleanser for Dawson. Mosaic is a 5 minute soundtrack for space travel & sci-fi romance.